A weak hand-off from 2012 is partly to blame for a lower than expected economic growth rate for Canada in 2013. In a report released this week by RBC Economics, the bank’s economists trimmed their forecast for real GDP growth in 2013 to 1.8 per cent, 0.4 percentage points lower than their initial prediction. “After boasting the strongest economic performance in the G-7 in the post-recession period, Canada’s economy hit a speed bump in the second half of 2012,” the report said. The economic slowdown has adversely affected the Canadian housing market, which remained robust until mid-2012. 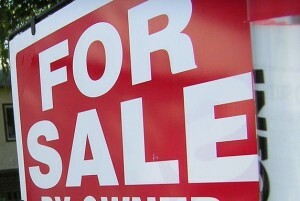 The housing market is now in the midst of a mild correction, according to the report. “The combination of a series of government policy changes aimed at tightening lending rules and jawboning by the central bank about the risks associated with leverage served to dampen housing market activity,” wrote the report’s authors. Nationally, home resales in 2012 were not significantly lower than 2011, but price growth did slow markedly from the 7.1 per cent average gains seem in 2010 and 2011. All in all, the RBC’s economic outlook echoes that of TD Economics and Scotiabank, both of whom released similar reports last week. The Canadian economy is slowing (but not contracting) and home sales and prices are leveling off; however, a large scale housing crash doesn’t appear to be in the cards.